This was written before the latest setbacks for the A380. As we head towards the first scheduled passenger services with the new Airbus A380 hitting the major international airports around the world it is an exciting time and I am eager for the various airline issue postcards of this super large airliner. So far, I have two airliner cards recently issued from Singapore Airlines and Emirates. The former, with markings “ being the first to fly this aircraft”. To mark the start, Singapore have produced two postcards – one depicts the aircraft, the other has just the double deck windows in the sky. 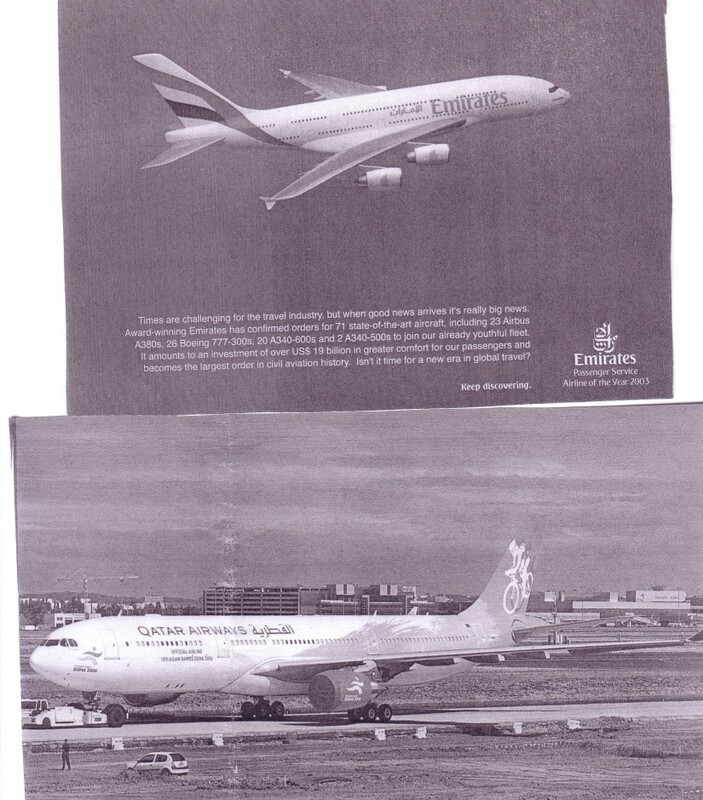 The Emirates souvenir card does not have a Pc back , instead one side features the A380 and the other is a shadow of Concorde with the caption “As one chapter closes another begins”. Both these airlines are pioneers in both flying the aircraft and featuring it on a postcard in their liveries. I wonder which of the 15 or so others that have placed orders will follow suit ? As for other airline postcards I have not added much at all lately. The message at shows is that there is very little new around. However the known publishers continue with their series. The most recent that I have received have been from POSTCARD of the Czech republic. They too have A380 s featured as well as a nice shot of Kenya Airways B767-36N in their new livery. 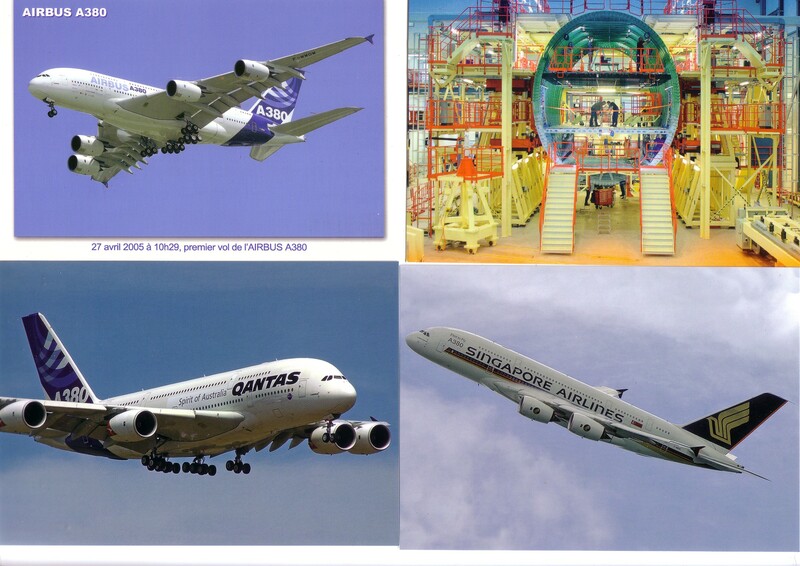 Potential A380 operators Qatar and Etihad current A330 equipment also features, Qatar in a new yellow livery. The other Czech source, OKC has a super card of an Air Caribes A330 and a landing shot of a PIA ATR-42 with a colourful tail scheme. This scheme is now appearing on 747s and is very like some of discredited BA world colours tails. Surprisingly, so far, Airbus have not issued any cards of the real A380 in their own series, the only ones being construction views, paintings and models. As I am finding it hard to locate new issues, any information from other members as to any that they have discovered would be welcome.